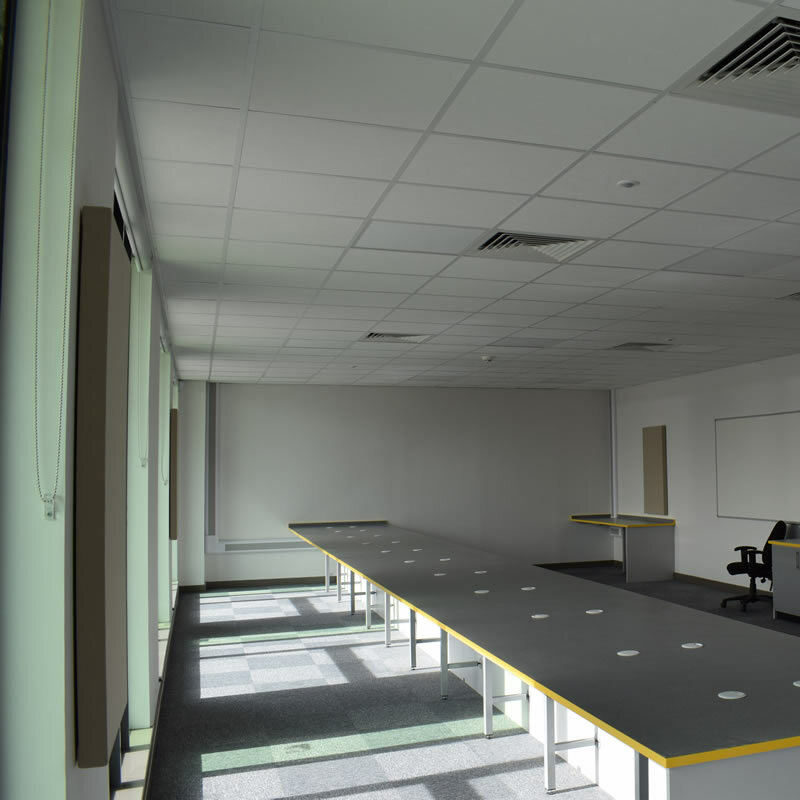 Suspended ceilings can combine distinctive patterns and finishes to provide the finishing touch to any interior project. We can provide advice, and help guide you through which specific ceiling system will best suit your needs. Ceilings also play important functional roles. Acoustics, lighting, heating or air-conditioning and fire protection are important elements of any modern ceiling system. This system consists of lightweight metal components, that clip together to form modules for tiles or lights to lay in. The grid is hung from the soffit via galvanised wire or angle. Grid is available in either 15mm or 24mm sections and there is a tile to suit every situation. 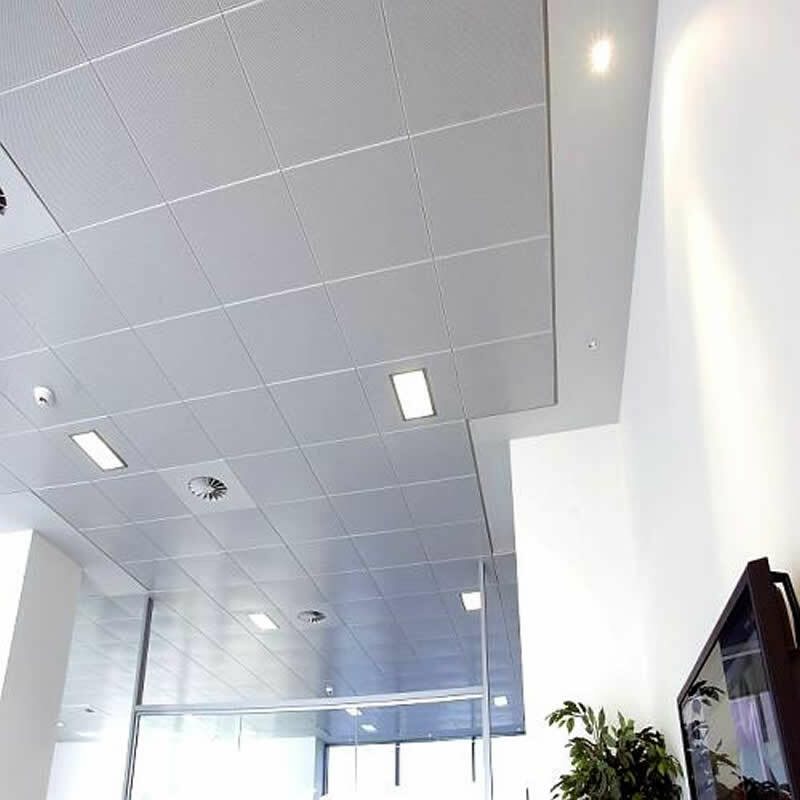 With this system, the tiles are clipped into a galvanised steel grid that is concealed above the ceiling surface.The tiles can be manufactured from a lightweight powder coated steel or mineral fibre. The system is very robust and aesthetically pleasing.